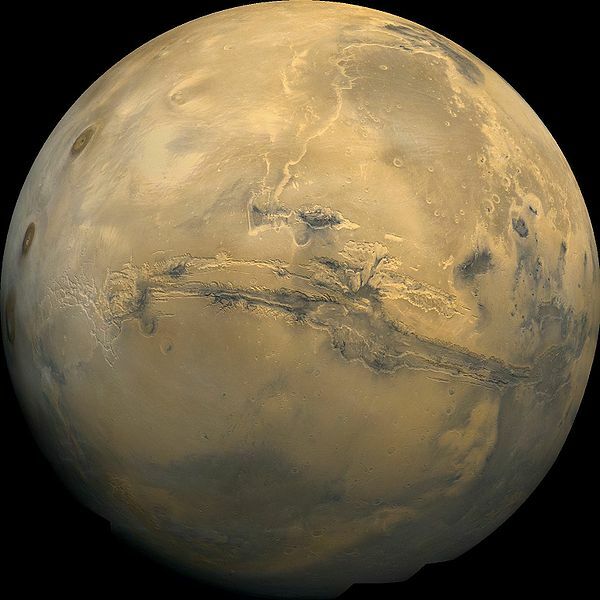 Last week, I posed a question about Valles Marineris (The Mariner’s Valley) on Mars. Being 200km wide, I asked you if the cliff faces of Marineris would be visible from the centre of the valley, or would they be so far away they would be over the horizon. According to the current poll, about 66.6% think yes, and 33.3% think no. R is the radius of Mars (3,396 km) and h is the height of the observer in the canyon (6 feet, say). Plugging in the numbers gives the distance as about 3.5 km, way less than the canyon’s width. Even on Earth, the horizon distance is only about 5 km, so a Marineris-sized canyon would be invisible to us here too. In fact, if you wanted to just be able to make out the canyon face (assuming an infinitely clear day of course), the planet you were standing on would have to be about 2 million kilometres in radius! 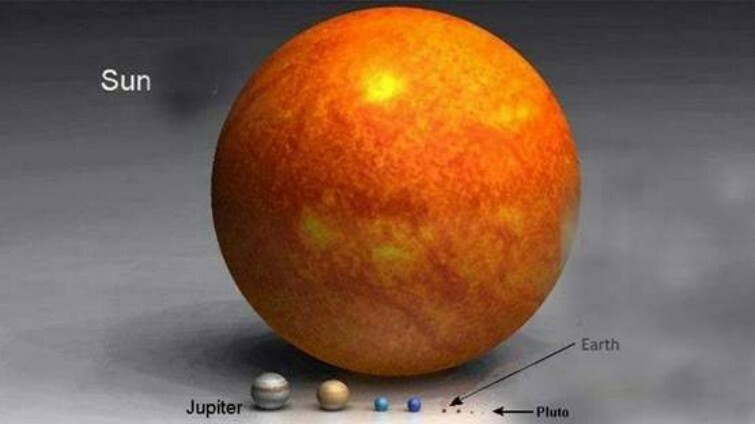 That’s about 4 times the radius of the Sun! As you can see from the scale model (left), that is very, very big. Indeed, it’d be very unlikely that a terrestrial planet of that size could ever exist in the Universe (not least because gathering up that much rocky material is very difficult). So Marineris truly is an invisible valley – and at 7 km deep (i.e. 7 El Capitans high), quite a challenge for any would-be extraterrestrial climbers.